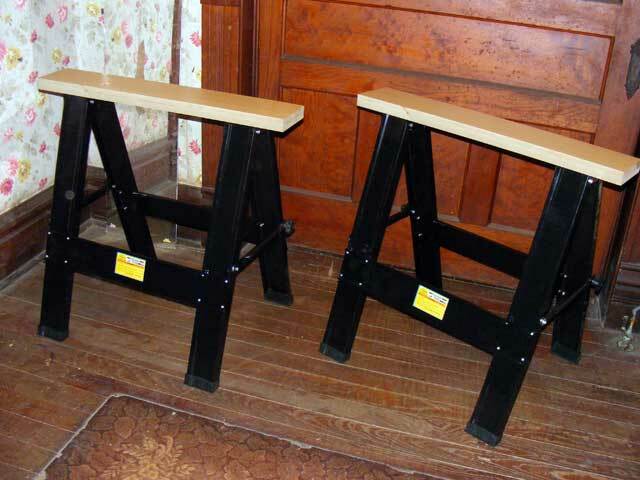 My friend Mike got me a sawhorse kit for Christmas. Sawhorse Kit...Can y'all tell I'm about to have an adventure? 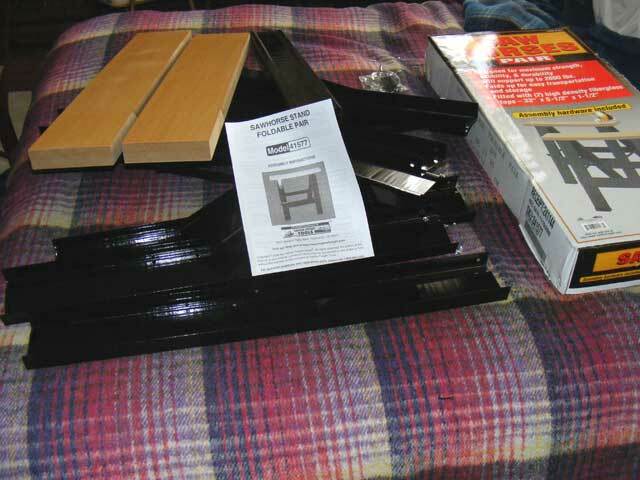 This is a Harbor Freight sawhorse kit. 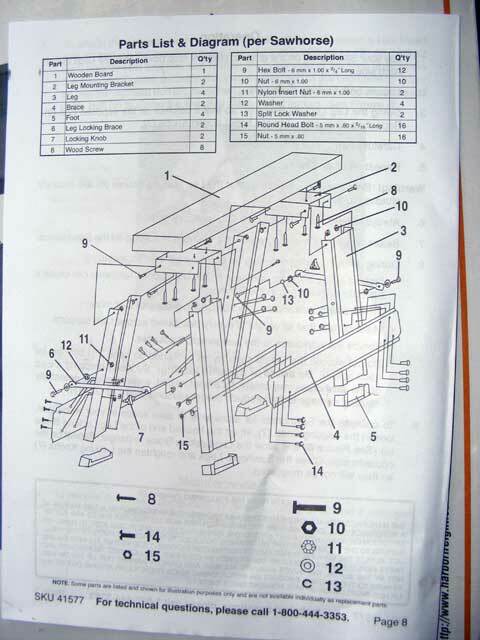 There are no less than 53 parts here…for EACH sawhorse. They took me about an hour of solid work to put together. They seem stable and will no doubt work just fine. A couple disadvantages…the “high density fiberglass” (as it says on the box) tops are really particle board…the formaldehyde emitting kind (I recognize the scent from my days in a mobile home)…with a top covering of laminate. The formaldehyde is not really an issue…but the disadvantage of the particle board is that I would be concerned about leaving them outside in damp conditions, and also the laminate is pretty slick…your work will tend to slide around on the sawhorses. The bright side is that if they do swell up, the hardware itself is reasonably solid and a couple 2×6’s or something can be screwed right on in it’s place. The other problem I found is that the feet like to pop off…a little construction adhesive (as soon as I have an open tube) will take care of that. They are VERY strong…I expect I could park my truck on them (carefully)…and will come in handy.